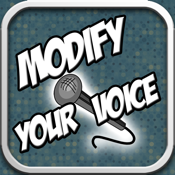 Modify Your Voice is a simple, easy to use voice modification app. Recored your voice, or any other sound you like and change it up! Sound like a deep old man or speed it up to to super quick speeds! Have a ton of fun messing with people, or hide your voice!